Take the kids to the movies for less this summer with $1 summer movies! 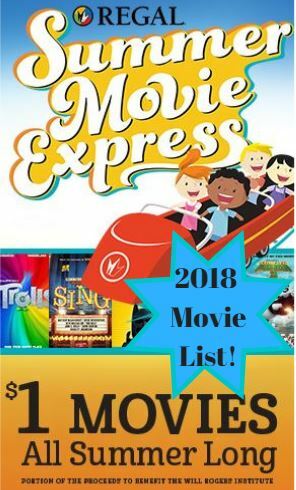 Regal Cinemas has announced the 2018 Movie List for their Summer Movie Express! Climb aboard the Summer Movie Express to enjoy a great selection of films for only $1 per person. Participating Regal Cinemas, United Artists and Edwards Theatres will offer selected G or PG rated movies for only a dollar on Tuesday and Wednesday mornings at 10:00. There are 14 weeks of movies listed but not all locations are showing all 14 weeks. Some are only doing 9 or 10. 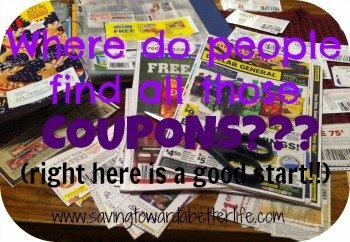 It depends on your locations start date as to how many weeks of movies they will show. The movies are numbered by week. Every theater has a different start date so look up your theater to see when their week one is. How many movies are you going to go see this summer? It’s a great thing do to when the days are too hot to do anything else! It’s one of our regular summer activities!